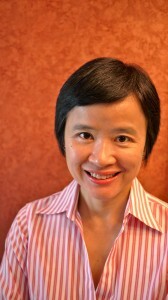 Angela Fung has extensive experience in TV programming, especially programme acquisition. She started her career as Assistant Producer at Hong Kong Commercial Broadcasting Co. Ltd. From 1991, she was Programme Officer of the English Channel at Television Broadcasts Limited (TVB), where she started her career in TV programming. From 1994 to 1995, she was in the classified ad industry. Then she joined NBC Asia, the then Asian headquarter of the US network NBC, where she was Assistant Manager for three years, responsible for programme scheduling, acquisition and translation. In 1998, she joined Phoenix Satellite TV Co. Ltd., the top renowned Mandarin TV service for China and the Asian region. She started as Programme Acquisition Manager, and was later promoted to Deputy Director of Programme Acquisition, then Director of Programme Acquisition. She is now the Deputy Head of Phoenix Chinese Channel, responsible for buying programmes for all the channels, and in charge of international programme distribution. She was awarded Phoenix TV Outstanding Contribution Awards in 2003. And in 2011, she finalized a multi-year VOD cooperation deal with Chunghwa Telecom in Taiwan, officially making Phoenix programmes available to Taiwan audience for the first time. Angela is an active participant in the international TV markets and awards. She was the juror for a number of awards including the TV Asia Awards, International Emmy, AIB Awards and ABU Prize. She worked closely with international organizations like The Association for International Broadcasting, The International Academy of Television Arts & Sciences and Asia-Pacific Broadcasting Union. Angela had got her Bachelor’s Degree with Mass Communication major at the Ohio State University (Columbus) in the States. As a part-time student, she got the law degree LLB from University of London, UK.